10 młodych zawodników zginęło w pożarze w ośrodku szkoleniowym klubu piłkarskiego Flamengo. Setki brazylijskich fanów wyszło na ulice Rio de Janeiro, aby upamiętnić zmarłych piłkarzy. 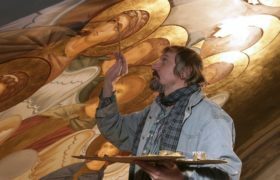 Władze miasta ogłosiły trzydniową żałobę. Prezes Flamengo stwierdził, że to największa tragedia w historii klubu. 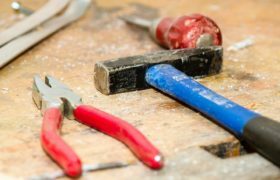 Kibice i wszyscy Brazylijczycy podkreślają, że to bardzo bolesne doświadczenie, że czują jakby to oni także stracili kogoś bliskiego. 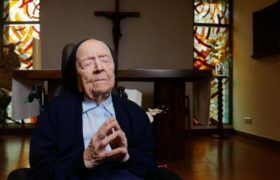 Odbywają się już pierwsze pogrzeby ofiar tragicznego pożaru. Ludzie, chcąc oddać cześć zmarłym chłopcom, klaszczą. Taka jest tradycja w Brazylii (fot. Marcelo Sayao, PAP/EPA). 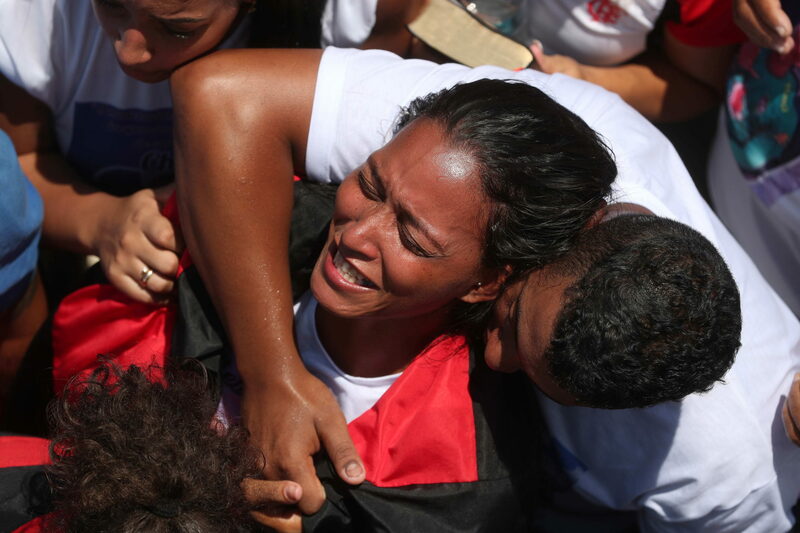 epa07359815 Andreia Candido, mother of Christian Esmerio, one of the 10 youths that lost his life in the fire last Friday at one of the Flamengo club headquarters, attends her son’s funeral at the Iraja cemetery, in Rio de Janeiro, Brazil, 10 February 2019. All victims were between 14 and 16 years old and were from other states or areas of the interior of the state of Rio de Janeiro. EPA/Marcelo Sayao Dostawca: PAP/EPA. 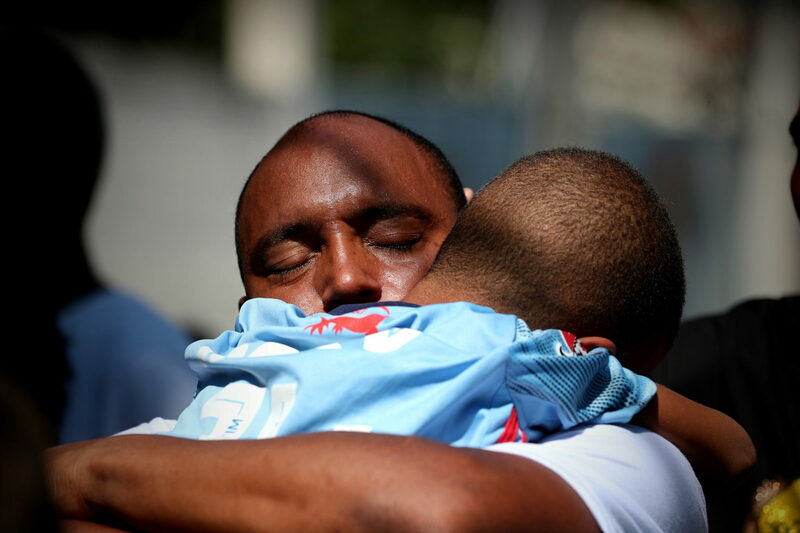 epa07359816 Cristiano Esmerio, father of Christian Esmerio, one of the 10 youths that lost his life in the fire last Friday at one of the Flamengo club headquarters, attends his son’s funeral at the Iraja cemetery, in Rio de Janeiro, Brazil, 10 February 2019. All victims were between 14 and 16 years old and were from other states or areas of the interior of the state of Rio de Janeiro. EPA/Marcelo Sayao Dostawca: PAP/EPA. 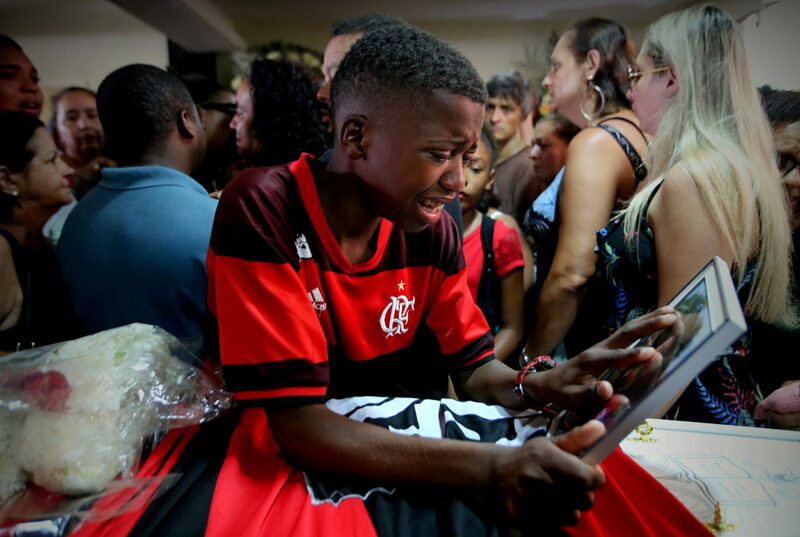 epa07356627 Vinicius Vital cries during the funeral of his friend Arthur Vinicius, one of ten young soccer players who lost their lives yesterday after the fire in the sports facilities of the Flamengo club in Rio de Janeiro, at the cemetery Portal da Saudade, in the city of Volta. Redonda, Brazil, 09 February 2019. Ten youths died on Friday and three others were injured in a fire at the club’s training center in Rio de Janeiro. EPA/Marcelo Sayao Dostawca: PAP/EPA. 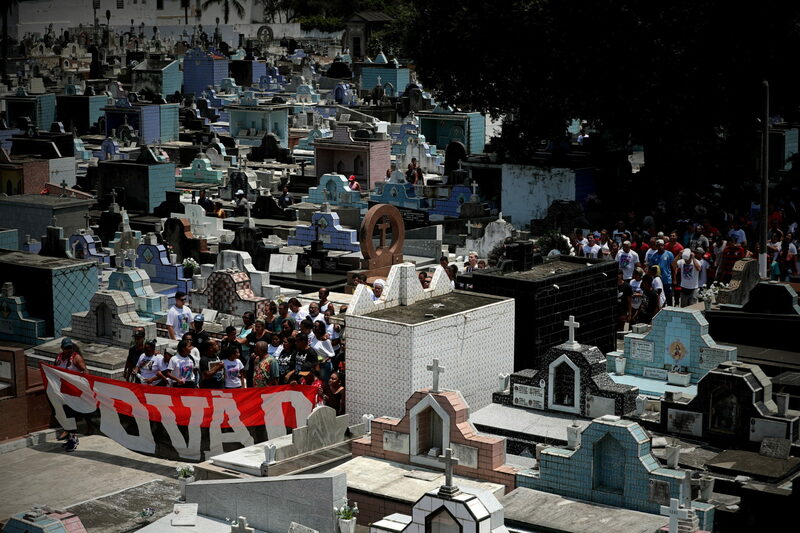 epa07356911 Dozens attend the burial of Arthur Vinicius, one of ten young soccer players who lost their lives yesterday after the fire in the sports facilities of the Flamengo club in Rio de Janeiro, at the cemetery Portal da Saudade, in the city of Volta Redonda, Brazil, 09 February 2019. Ten youths died on Friday and three others were injured in a fire at the club’s training center in Rio de Janeiro. EPA/Marcelo Sayao Dostawca: PAP/EPA. 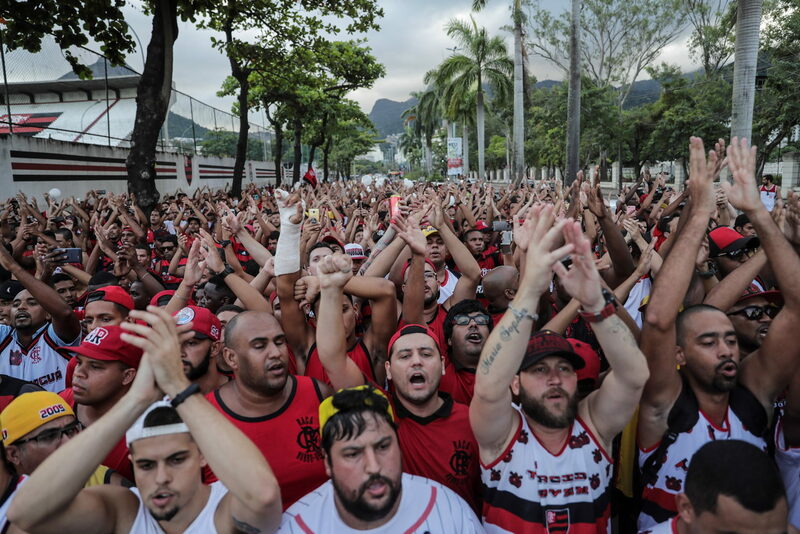 epa07357169 Fans of Flamengo gather to mourn the death of the 10 young soccer players who lost their lives yesterday after the fire in the sports facilities of the Flamengo club, in Rio de Janeiro, Brazil, 09 February 2019. Ten youths died on Friday and three others were injured in a fire at the club’s training center in Rio de Janeiro. EPA/Antonio Lacerda Dostawca: PAP/EPA. 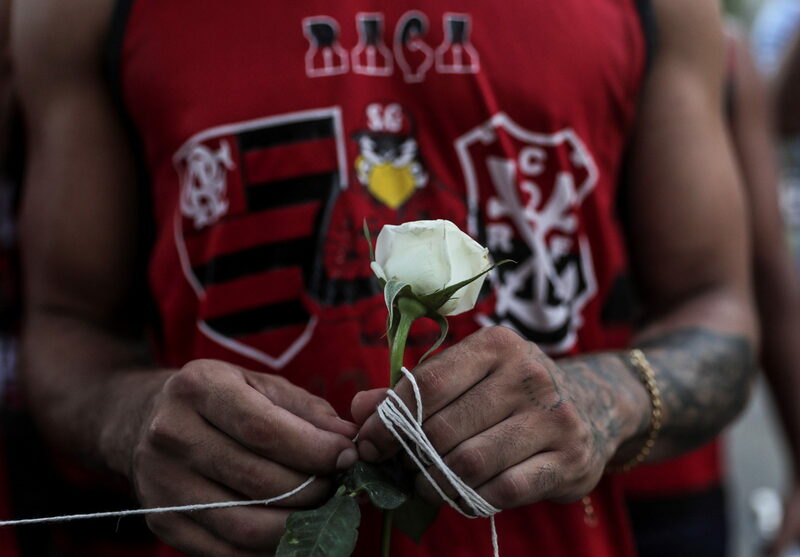 epa07357174 Fans of Flamengo gather to mourn the death of the 10 young soccer players who lost their lives yesterday after the fire in the sports facilities of the Flamengo club, in Rio de Janeiro, Brazil, 09 February 2019. Ten youths died on Friday and three others were injured in a fire at the club’s training center in Rio de Janeiro. 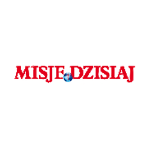 EPA/Antonio Lacerda Dostawca: PAP/EPA. 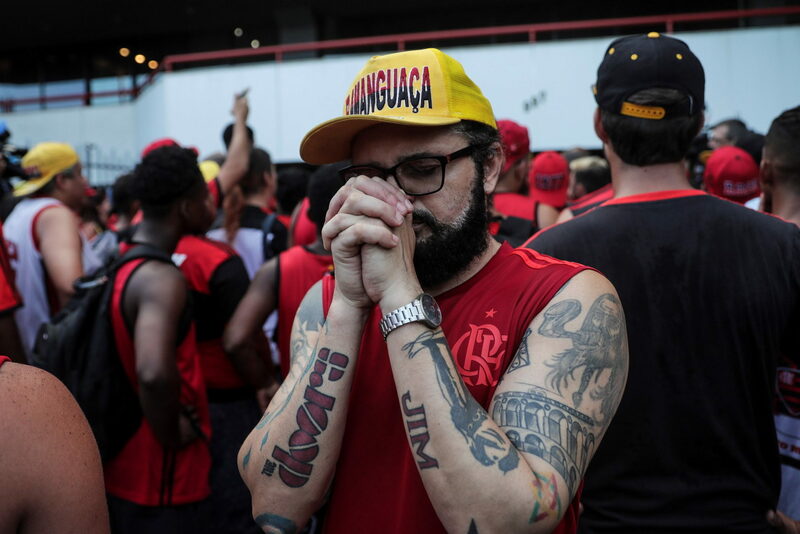 epaselect epa07357175 Fans of Flamengo gather to mourn the death of the 10 young soccer players who lost their lives yesterday after the fire in the sports facilities of the Flamengo club, in Rio de Janeiro, Brazil, 09 February 2019. Ten youths died on Friday and three others were injured in a fire at the club’s training center in Rio de Janeiro. EPA/Antonio Lacerda Dostawca: PAP/EPA. 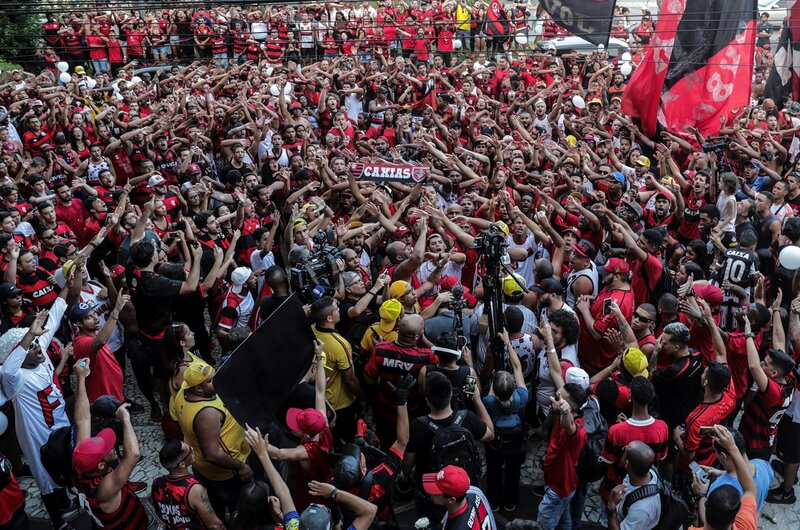 epaselect epa07357176 Fans of Flamengo gather to mourn the death of the 10 young soccer players who lost their lives yesterday after the fire in the sports facilities of the Flamengo club, in Rio de Janeiro, Brazil, 09 February 2019. 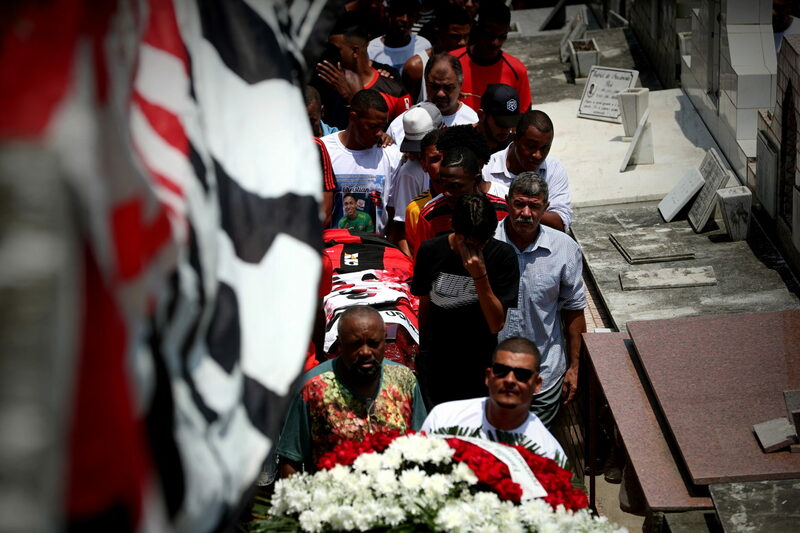 Ten youths died on Friday and three others were injured in a fire at the club’s training center in Rio de Janeiro. EPA/Antonio Lacerda Dostawca: PAP/EPA. 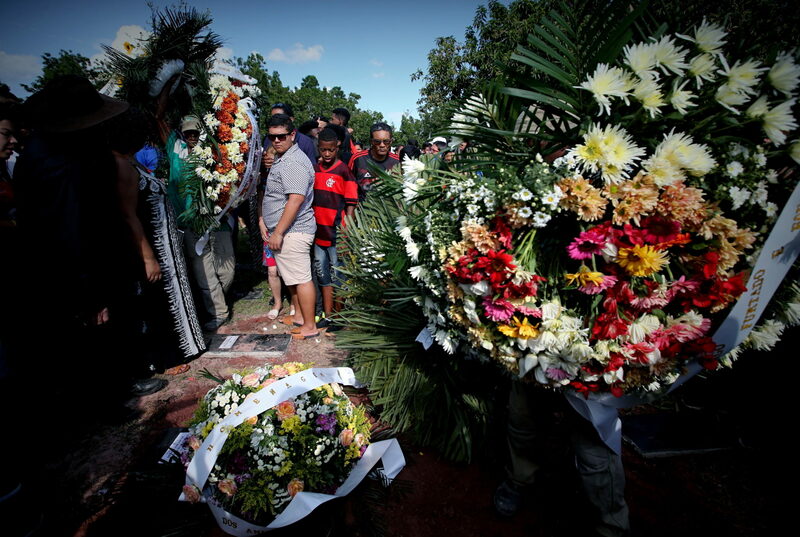 epa07359681 Friends and family attend the funeral of Christian Esmerio, one of the 10 youths that lost his life in the fire last Friday at one of the Flamengo club headquarters, at the Iraja cemetery, in Rio de Janeiro, Brazil, 10 February 2019. All victims were between 14 and 16 years old and were from other states or areas of the interior of the state of Rio de Janeiro. EPA/Marcelo Sayao Dostawca: PAP/EPA. 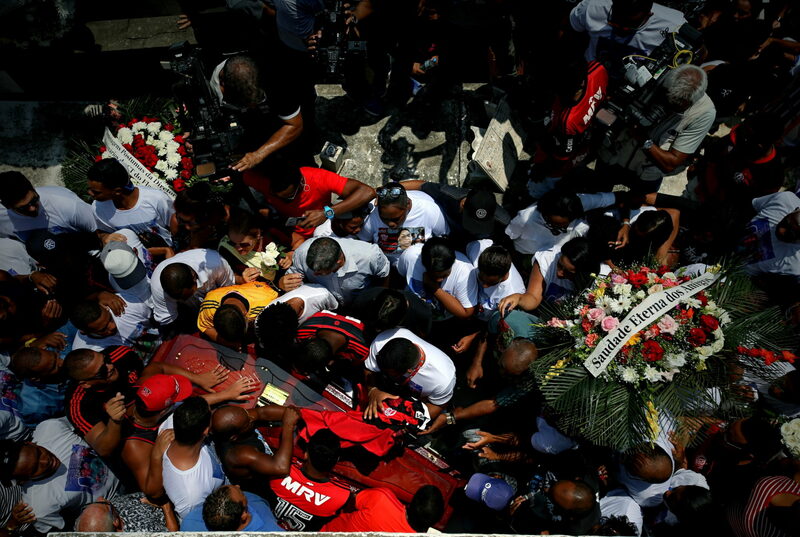 epa07359682 Friends and family attend the funeral of Christian Esmerio, one of the 10 youths that lost his life in the fire last Friday at one of the Flamengo club headquarters, at the Iraja cemetery, in Rio de Janeiro, Brazil, 10 February 2019. All victims were between 14 and 16 years old and were from other states or areas of the interior of the state of Rio de Janeiro. EPA/Marcelo Sayao Dostawca: PAP/EPA. 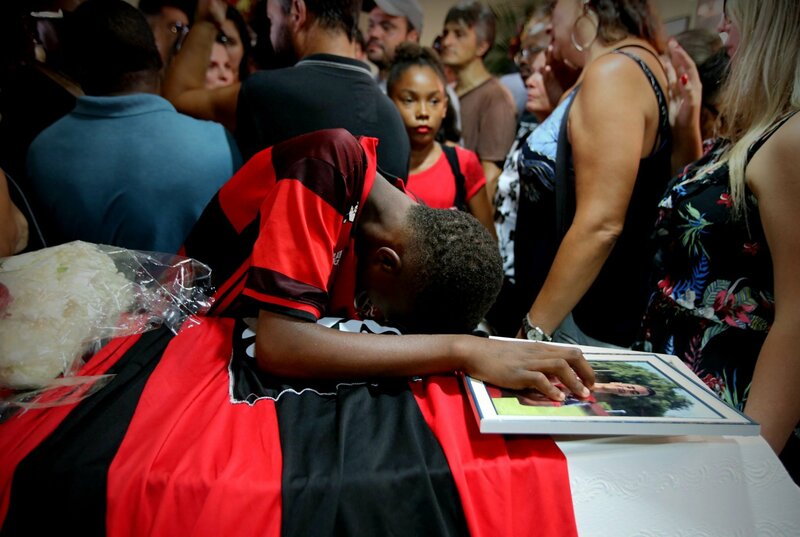 epa07359685 Friends and family attend the funeral of Christian Esmerio, one of the 10 youths that lost his life in the fire last Friday at one of the Flamengo club headquarters, at the Iraja cemetery, in Rio de Janeiro, Brazil, 10 February 2019. All victims were between 14 and 16 years old and were from other states or areas of the interior of the state of Rio de Janeiro. EPA/Marcelo Sayao Dostawca: PAP/EPA.